Cone crusher is widely applied for the medium and fine crushing of various kinds of stone and rock. 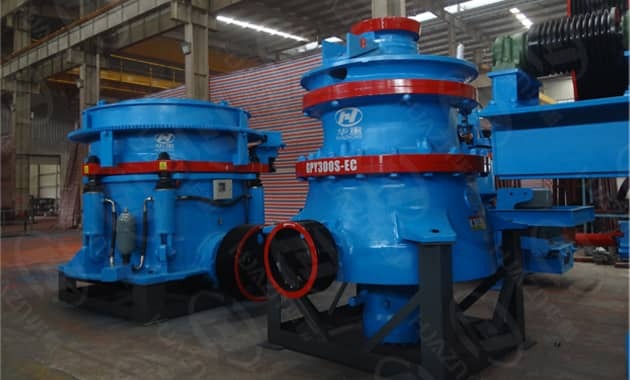 It is divided into spring cone crusher, single-cylinder cone crusher and multi-cylinder cone crusher. The last two types are common used cone crusher. What's the advantage of single-cylinder cone crusher and multi-cylinder cone crusher? 4. With high degree of automation, easy for operation. 3. Thin oil centralized lubrication, and multi-point lubrication in time. Previous Article：How to choose Steel Slag Mill Machine? Next Article: Why to limit the Content of Needle-like Aggregates?